Dear Kristine: I had the most amazing time at our dinner last Tuesday! I have missed you so much, and love that I can write this here and know you will read it. 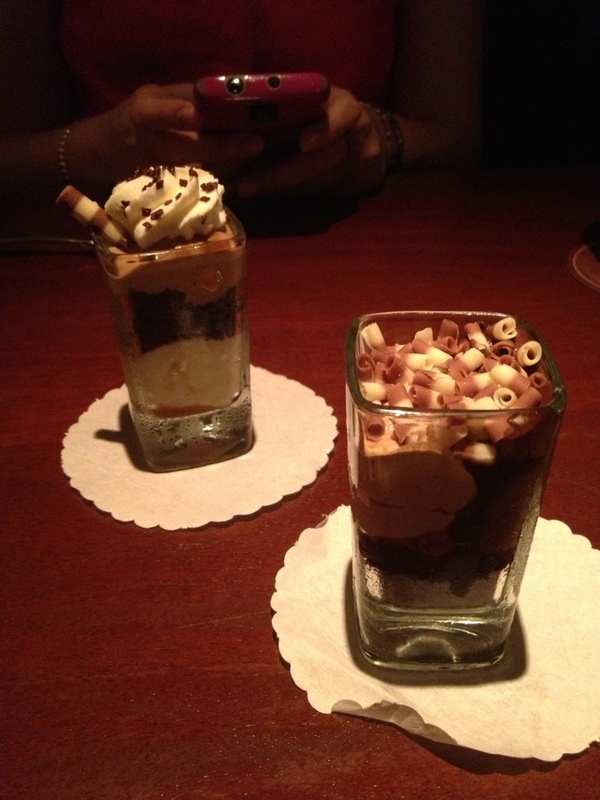 :) I think you should come back so we can get more dessert shots. Deal? Dear World: Please don't end today! Especially while I'm flying. I'm already scared enough as it is. Dear Syracuse: I am on my way to you right now! If all went as planned my flight from West Palm took off around 6am taking me back to the cold! First thing on my agenda? A Gyno appointment. Nothing says home for the holidays like getting your hooha and teeth checked out. Sigh. After that, it's all about Christmas! I'm so lucky to get to spend the holidays with my family, and to have such understanding bosses! Dear Happy Hour with Coworkers: You happened last Friday, but you still get a delayed letter. Thank you for being so fun! I'm starting to feel at home at my new job, and going to the happy hour was so much fun. Slowly but surely coworkers are becoming friends, and even if we're all different ages, it still makes this place feel more like home. Dear Connecticut: My heart and soul are with you. I haven't spoken about you much on here, not because you're not on my mind every minute, but because there just aren't words. I pray each day you get closer to finding peace. Dear Mom and Dad: I am so excited to spend Christmas with you. Even though I won't be waking up in my bed Christmas morning, I will still feel all the excitement I felt when I was little the minute I walk in the door. Dear Dom: I hope you're ready to leave your house by 7am Christmas morning! Guess we can't do tequila shots with Nana this year ;). Dear Dom's Nana: I can't wait for you to be our roomie for a few weeks/months. I've been resting up so I can hopefully keep up with your party animal ways! 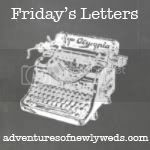 Dear Blog Followers: I can't believe how close I am to 500! I really never thought I would see the day. I am so thankful for each and every one of you. Special love to Erin, who loved me (or at least pretended to ;)) when I had barely any followers, and new loves Kayla and Alexa whose posts always make me happy, and whose comments and emails always bring the biggest smile to my face! Enjoy your time home! How long are you home? We seriously should try and meet up when I'm back! Merry Christmas! Those desert shots look wonderful!! Love your face!! Have SO MUCH fun with all your festivities!! :) Merry Christmasssss!!! Dear whatever those things are in that photo... you look delicious!